It is often (not always) a case of choosing between the short-term results and the long-term effects when it comes to hair colouring. Short-term, you can use the best chemical processors to achieve whatever colour you so wish, but maintaining your chosen colour can often result in long-term damage to your hair. Alternatively, you can go down the natural colour route – as in, stay your natural colour or use natural hair-colourants. Staying your natural colour is great if you love your colour but unfortunately with the effects of pollution, busy lifestyles and lack of sun, our natural hair can be a become dull, or worse – boring. In the right hands, natural colourants can make your hair look beautiful but, in my experience, I have never managed to achieve the cooler, ashy blonde that I like with these types of colourants (although my frizzy, fragile hair would certainly prefer them). 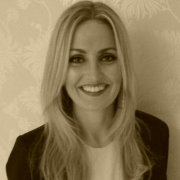 After witnessing far too many clients with damaged, over-processed hair, the team at GA decided enough was enough! They created 20 signature blends using nothing but 100% organic herbs, roots and flowers, which can all be blended to give you the colour you want, without damaging the hair. From the colours they use, to the cut they give you or the products they recommend for you to use at home – everything is bespoke to you and your hair. 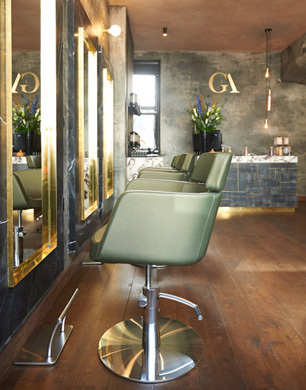 GA’s objective is actually to get you to visit the salon less often! With conditioning treatments, careful cutting and clever colouring, hair becomes more manageable and regrowth less visible making it all together, easier. I booked in for a conditioning treatment, cut and blow-dry (as I’d recently had it coloured). Everything in this salon is carefully thought through, from the coffee bar to the comfortable wash basins and it looks beautiful. The staff have got the friendly/personal space ratio just right and the atmosphere is buzzy but not at all hectic, so far, so great! The real challenge was my crazy unruly hair though. Based on my experience and after watching all the regular clients bouncing in with luscious locks, I believe GA can get my hair back to its former glory, it’s going to be a lengthy process but they have won my trust- I’ve already booked in my next appointment!